“She walks upon the earth with beauty and grace, enjoying Naked Soul’s Goddess upon her eyes and face.” Okay, so maybe I’m not a poet, but you get the idea. Simply put Goddess Exotic Cream for Face and Eyes is going to make you feel like a million bucks. 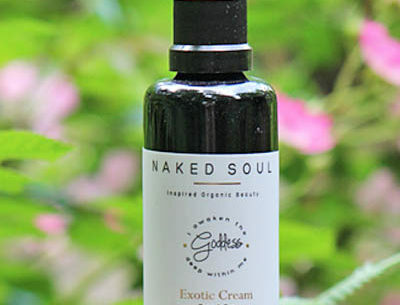 Goddess Exotic Cream is your second step in the easy and enjoyable skincare regimen provided by Naked Soul. 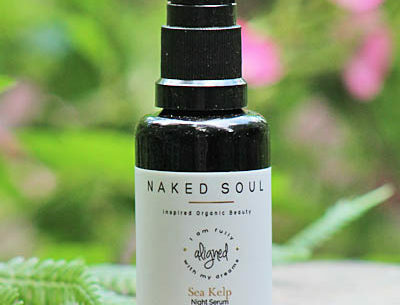 In case Naked Soul Beauty sounds new to you, they are not new to our site. They were formerly known as Rosa y Fruta, an extremely popular company amongst those that enjoy high-quality natural beauty care. 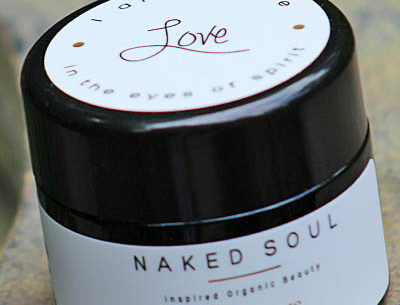 Naked Soul has taken the line to new heights with their reformulated products. Goddess is no exception. This light emulsion gives heavy benefits. 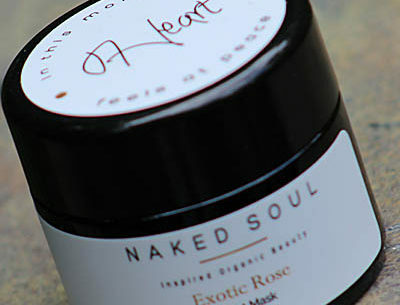 It plumps and softens the skin, whether you decide to amp it up with one of Naked Soul’s Exotic Elixirs or not. Goddess may be the sleeper in the Naked Soul line. This inocuous, unscented lotion appears on the outside to be just a mere lotion when pumped onto your finger tips. Ah, but don’t be fooled. Just wait until you massage it into the skin, that’s when the true magic happens! My skin plumps up, softens, and turns into more of what I would imagine ‘goddess’ skin to be like. Goddess is as close to goodness that you can get. 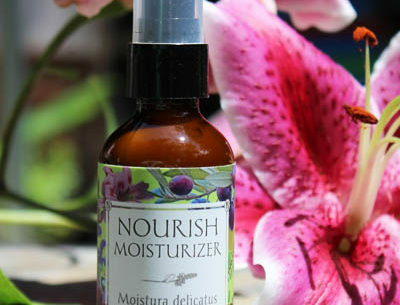 Are you looking for an awesome moisturizer? I highly recommend Naked Soul Exotic Face and Eye Creme! A luscious unscented cream that allows your make-up to glide on like never before! Your ultimate all-in-one super natural luxury cream! This is the perfect product for you if you’re looking for simplicity-a multi function product used DAY & NIGHT for face and eye. GODDESS Face & Eye Cream is one simple and luxurious moisturizer that does it all. This anti-aging cream works for day and night, face and eye (and seamless makeup application). You’ll see luminescent and deeply hydrated skin. This is the ultimate anti-aging cream for all skin types. GODDESS Face & Eye Cream sinks right into your skin, leaving it soft and supple. GODDESS Face & Eye Cream starts with our signature white camellia oil, renowned for its beautifying and anti-aging properties. East African Nilotica shea butter promotes skin elasticity, softness, and protects and heals dry, damaged skin. 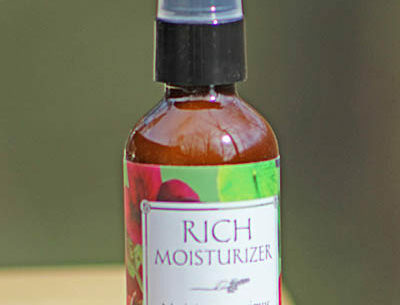 After cleansing, massage 1-2 pumps onto skin morning and night. Pay special attention to the under area, neck, and décolletage. Ingredients: Certified Organic Green Tea Distillate, Certified Organic Cold-pressed Extra Virgin Camellia Oleifera (White Camellia) Oil, Natural Glycerin, Cetearyl Olivate And Sorbitan Olivate, Sodium PCA, Olive Oil Unsaponifiables/Squalene, Tetrahexyldecyl Ascorbate (Stable Vitamin C), Certified Organic Vitellaria Nilotica (Shea) Fruit Butter, Certified Organic Lecithin, Panthenol (Vitamin B-5), Certified Organic Xanthan Gum, Levulinic Acid (Plant Oil Derived), Food Grade Potassium Sorbate, Tocopherols (Vitamin E Mix), Citric Acid.